Water cooled flexible cable with induction coil connections (coil not included), great for use with our IH series induction heaters. Material: rubber and copper, total length: 39 inches. 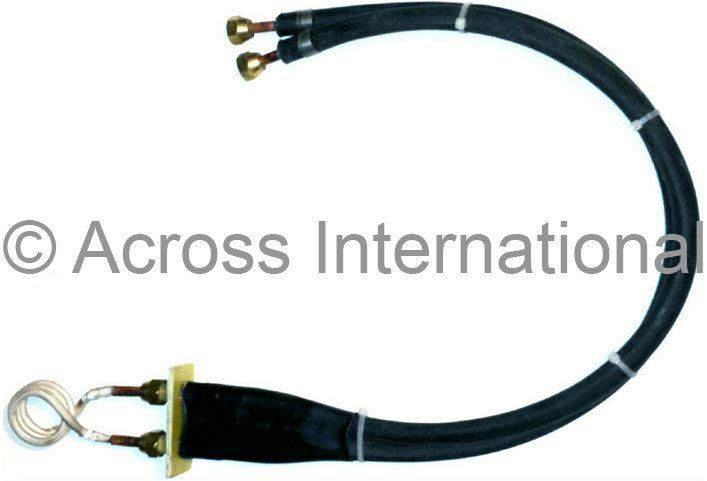 Note: use of flexible cable can greatly reduce the efficiency of your induction heaters, make sure your induction heaters are the Across International 2T models. 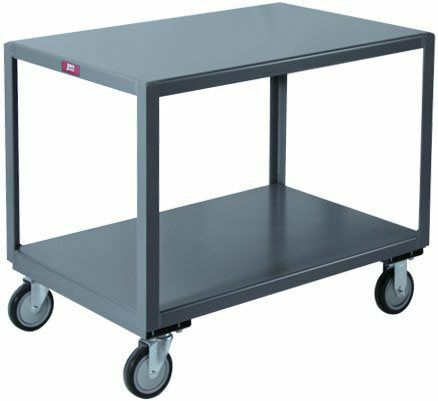 Heavy duty all welded steel mobile table. Recommended for our AccuTemp 1.9, 3.2, 7.5 and Elite 1.0, 2.3 and 4.4 cu ft vacuum ovens. 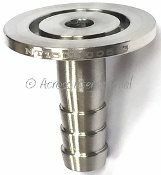 Bolt on casters, 2 swivel & 2 rigid, for easy replacement and superior cart tracking. 1-1/2" shelf lips down (flush) on both shelves. Clearance between shelves - 20". Absolutely no assembly required, come ready to use. Set of two induction coil adapters with sealing gaskets for our IH series induction heaters. Protect the coil connectors on the machine, good for users who change coils frequently. Custom made crucible tongs for our graphite and SiO2 crucibles. Steel construction for durability and long time use. Compatible crucibles: 150ml graphite crucible sets, 160ml silica crucibles. Custom made crucible tongs for our graphite crucibles. Steel construction for durability and long time use. New Ai EasyVac 1.8 cfm single-stage sliding-vane rotary compact vacuum pump with 3/8" hose barb vacuum connector. Comes with a 3-foot food grade silicone hose and a exhaust oil mist filter which also returns trapped pump oil back to the pump and makes the pump quieter to run. It is important to note that pumps should always be ran in a well ventilated area. Free three feet 3/8" white premium food grade silicone vacuum tubing (a $19.99 value) included.